It was a lot of work, but it was also an awesome opportunity to get together and support one another. And via facebook, twitter and live streaming we were also able to virtually shop for people who lived too far away or weren’t able to make it to the sale in person. We packed several boxes of fabulous finds for our remote buyers. And by the way, if you are anywhere near the Pasadena area, I happen to know a LARGE influx of plus-sized clothing just landed at the Goodwill at Hastings Ranch at 3801 E. Foothill Blvd. Ragen Chastain has also started raising funds for a very exciting documentary project called In Our Own Words, A Fat Activist History. This is an unprecedented opportunity to help preserve the history of the size acceptance movement and understand those who have paved the way for the current activists like Ragen and I to do our work. 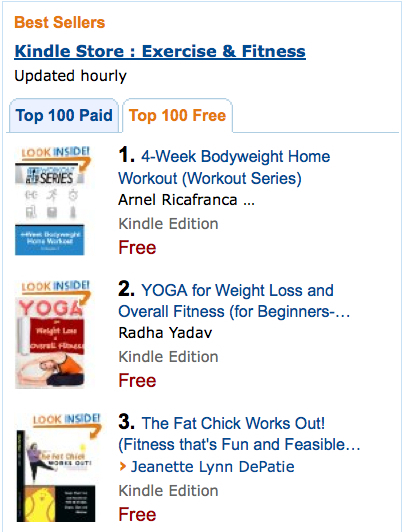 I was also overjoyed this past week that ALL OF YOU helped to put my book, The Fat Chick Works Out!, on Amazon’s best-seller list. I want to offer my sincere thanks to all of you for helping to make my work more visible and more accessible to everyone who might need it. I’m not listing all these things to brag. (Well I am bragging, but that’s not the only reason). I’m listing these things to remind you that there is a community of people out there who are actively trying to make the world a better place for people of all sizes. This community does its work in a variety of ways. From media interviews to fund-raising to helping somebody in a remote town find some gently-used, gorgeous clothing that they can afford. Which leads me to this important point: this movement needs you. Not everybody can devote their entire life to the size diversity movement, but we can all give something. Even if it’s simply donating a few dollars to the Size Diversity Task Force for their upcoming build of the world’s largest paper mache sculpture composed entirely of recycled diet books. Maybe it’s simply joining the Size Diversity Task Force or ASDAH or the Fit Fatties Forum or The Fat Chick Clique. Even if you can’t donate cash, can you spend a few seconds each day sharing important size-positive posts on Facebook? Can you reach out and leave a few encouraging words in the comments section of a size-positive blog? Can you suggest resources or lend support to somebody who is being flamed online for daring to post or share size-positive viewpoints? Which leads me to another important point: you need this movement. Whether you are fat or thin, tall or small, size discrimination and fat shaming hurts all of us. It can be really tough out there in the world and we all need friendship and support. And even if you live somewhere remote, where you may have trouble finding a way to physically meet with some of these groups, most of them have digital counterparts where you can connect via the computer, your phone or even good old snail mail. So I’d like to encourage you to spend just a few moments thinking about a way that you personally, yes you, can reach out to the size acceptance community. 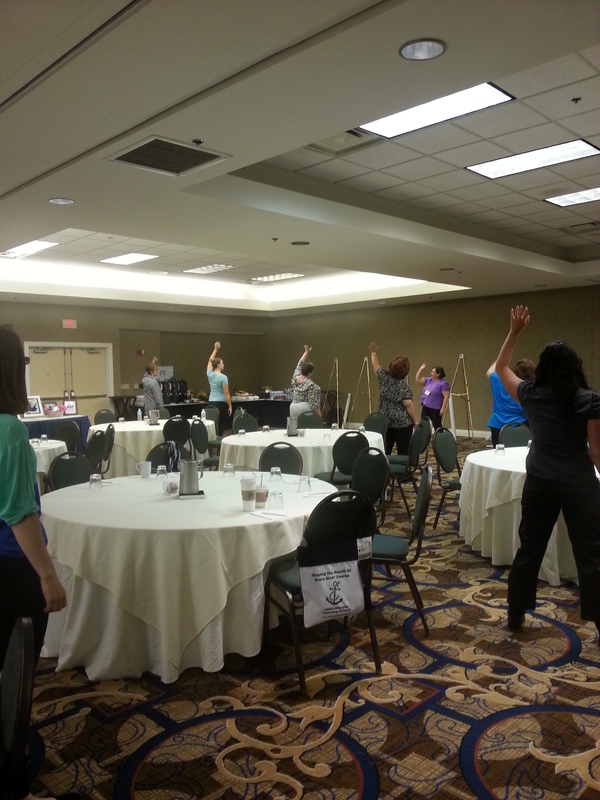 Join ASDAH, or the Size Diversity Task Force or The Fat Fatties Forum or The Fat Chick Clique. Connect with one of these organizations via Facebook or Twitter. Donate to Ragen’s documentary project. You make the world a better place for other people of all sizes and you make the world a better place for you. And you’ll look fabulous while you’re doing it. That’s what we call a win-win-win situation! This entry was posted in Uncategorized and tagged Amplestuff, ASDAH, Association for Size Diversity And Health, Big Fat Flea Market, Butterfly Lounge, Chastain, click, community, donate, Fit Fatties Forum, Igigi, In Our Own Words, Jeanette DePatie, join, Kiyonna, More of Me to Love, need, Ragen, share, Size Diversity Task Force, Size Queen, the fat chick, the Size Diversity Task Force, win on July 15, 2013 by fatchicksings. Okay, first you gotta watch the video. Grab a cup of coffee and click the arrow. It will only take a minute. Wow, how cool is that? We’ve all had the experience of standing in the bloody baggage claim area after a long flight, watching that little belt go around, straining hopelessly to catch a glimpse of our long lost underwear. But not this girl. Oh no. She just put on some tunes and rocked out! When was the last time you did something like that? I think maybe it has been years and years for me. I used to regularly engage in PAI (Public Acts of I-don’t-care-what-you-think). When I was a kid, I was an endless source of humiliation for my poor sister. I wore crazy hats. I was kicked out of grocery stores. My cousin regularly reminds me of how we used to ride around town in her convertible with the top down and me singing opera at the top of my lungs. Is it just because I’m older? Have I grown wary and frightened? Or is it because I got bigger? Were I to dance around at the airport like that today, would people around mostly ignore me or smile gently like they do at the girl in the video? Or would they hurl insults at me and call me names like they did a few months back at the restaurant? But I often wonder if this is one of the most insidious repercussions for those of us who have been bullied. How many insults can we endure before we shut down? How many of us have had our bright, bright lights muted under bushel baskets for years and years because we have been traumatized, battered, and bruised by very public opinions about our bodies? I continue to wonder about the squandering of those most precious resources. Resources we desperately need in our society like energy, inspiration, spontaneity, creativity, courage and joy. Can our world afford to throw these precious gifts away in order to sell more diet pills and gain more research funding for take home bulimia kits? I don’t think it can. So my friends, let’s see if we can’t find a way to get our collective mojo back. I think exploring our inner child is a good start. And so is collecting for radically awesome events like A Fatty Affair. And joining fantastic groups like The Size Diversity Task Force can’t hurt either. After being part of the SDTF, inspired me to shoot this video on a busy weekday at my local thrift store. I’m committed to doing whatever it takes. Because hiding our light under a bushel basket doesn’t just diminish us personally, it deprives the world of our fantastic, glorious, gorgeous light, which is a crime against humanity. So let’s see if we can’t find even more ways to pull those bushel baskets off and dance like nobody’s watching. This entry was posted in Uncategorized and tagged airport, baggage claim dance, brave, bullying, cost of bullying, courage, creativity, dance, dance like nobody's watching, Fun, joy, light under a bushel basket, mojo, public, share, silly, spontaneous, video, YouTube hit on February 4, 2013 by fatchicksings.